The original Moto G was the best budget phone I owned. Small enough to fit in the palm of your hand, responsive enough to make you forget that it was ‘budget’, and with direct ownership from Google (back then!) meaning prompt software updates, there was very little you could fault in this phone. Only two things let it majorly down, the lack of 4G (or LTE), and lack of expandable memory space. Yeah, the camera is half decent, and won’t blow you away, but that is a thing you can live with. 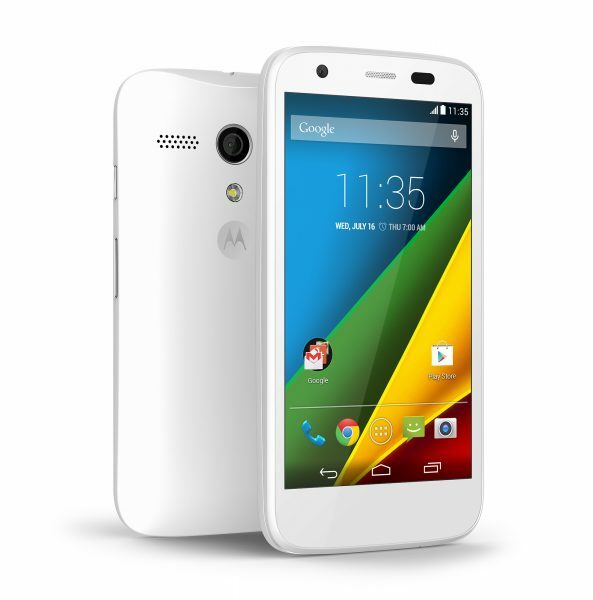 Enter the new Moto G, called Moto G 4G. This time it comes with a micro SD slot, and 4G abilities, and the 8GB model costs you just £159 SIM Free, though various deals are already available online. What has changed between this and the last one? Very little. Actually, enough to make a difference, but very little. In fact, the only things that have changed are what I have already mentioned above. They spotted a couple of weaknesses, and they have covered them. You now have expandable memory, and 4G ability. Yes, Android Kitkat is available on this from the very first day, but it was already available for update on the last one too. What about the ‘specs’. Have they increased any of those numbers? No, it is exactly the same otherwise. I mean, the original one is only 6 months older than the new one. What the hell is 4G anyway? Ha. A cruel sense of humour, but yes, UK as of now does not have the best 4G coverage. In fact, as I sit here not more than 2 miles from city centre Oxford, I wonder when 4G will ever come to my city. We shall see. It has been a slow process, with major cities such as London and Manchester getting it first, but it should, hopefully, come to us. This is where I really love this phone. It isn’t thin, it isn’t designed to cut cakes or slide bread, and it features a ‘massive’ bezel, specially that bottom bit! Featuring a thicker than most design, you get a curved back with an indented ‘M’ for Motorola logo. This is perfect as often I find my finger resting there, holding the phone perfectly. Curves are definitely the way to go when it comes to comfortable items, and the Moto G humbly proves it. It just fits perfectly in my hand, and not much more needs to be said. Otherwise, it looks like any other phone, with a camera up front, a bezel surrounding the 4.5 inch screen. The back has the camera, the logo and a flash. The right side features the power and volume rocker key, the top lets you plug in a 3.5mm cable, and the bottom has the micro-USB socket. Probably the only thing that lets this phone down is the camera. Photo samples are available everywhere, and to be fair, it is only 5MP, but if you really had to be picky, that is the one thing I have to choose! The great – splash proof! Oh yes, did I mention this was splash proof? Well, it can handle spills, etc in the area, and can be used in the rain. You can’t go scuba diving with it, like your Xperias, but then again the screen hardly works when wet, so there you go. Does give you that added piece of mind. With the original Moto G, it was so hard to open the back case that I actually started to wonder if I had missed the SIM slot. I hadn’t. It was just a very tight case. The Moto G 4G supports the exact same design, but out of the box you get a small sticker which keeps the phone ever so slightly open for first time ‘opening’. After that, the case becomes a bit loose every time you open it, even if it is the smallest of change. Not only do you get the latest and greatest version of Android with this phone (Kitkat), it also comes pretty vanilla. That means all you Android fanboys can go and install almost anything you want on top of it. A main advantage is the fact that the phone is just so much lighter on requirements, which means it runs so much smoother. A clever move by Motorola there! Oh, you do not get away without Motorola adding some of there software on the phone. However, it is light, it is useful, and it is hidden once you are done. You get protection software, that allows you to locate your phone if lost, Migrate, which helps you migrate everything from photos to texts and call logs to your new phone, you get Assist, which will automatically silence your phone during meetings, for example. You can find out all about it by heading to Motorola’s website. I won’t lie. I will spend my own money to buy this. I owned the the non 4G version, and it has been one of the best phones I have ever owned. The fact that it is cheaper gives you a certain peace of mind, and while the only complain now is the ‘just okay’ camera, it is not enough to put you off. For somebody looking for their first experience of Android, this is the perfect phone. For a super nerd, this is the perfect back up phone to have. For anywhere in between, it just works! Previous story Google Glass – stepping into public, one ban at a time! Nice overview Sami. Having used the 1st gen Moto G myself, I agree entirely that it’s a fantastic entry-level Android smartphone, but it’s still more than capable of getting a power-user by. The camera is definitely the big let down with this device, but the truth is, at this price point you can’t really complain. To be honest, I’ve even been wanting to try the Moto X just because of how much I’ve enjoyed the Moto G! Same here , not had a chance yet myself, but pretty keen to try.